(If you’re like 96% of women surveyed worldwide, your answer was probably: ‘no’). But what if I asked your kids or your husband, what would they say? (I know my 8-year-old loves when I wear my hair down & put on my ‘pretty eyes’). What about God, do you believe He sees you as beautiful? Maybe your instinct is to flippantly say, “Yeah, sure, God thinks I’m beautiful.” But do you (and I) deep down know and live like we are cherished in His eyes—no matter what our past or present holds. No matter how much we yell or whine or complain . . . He greets us: “Hello, beauty full”. 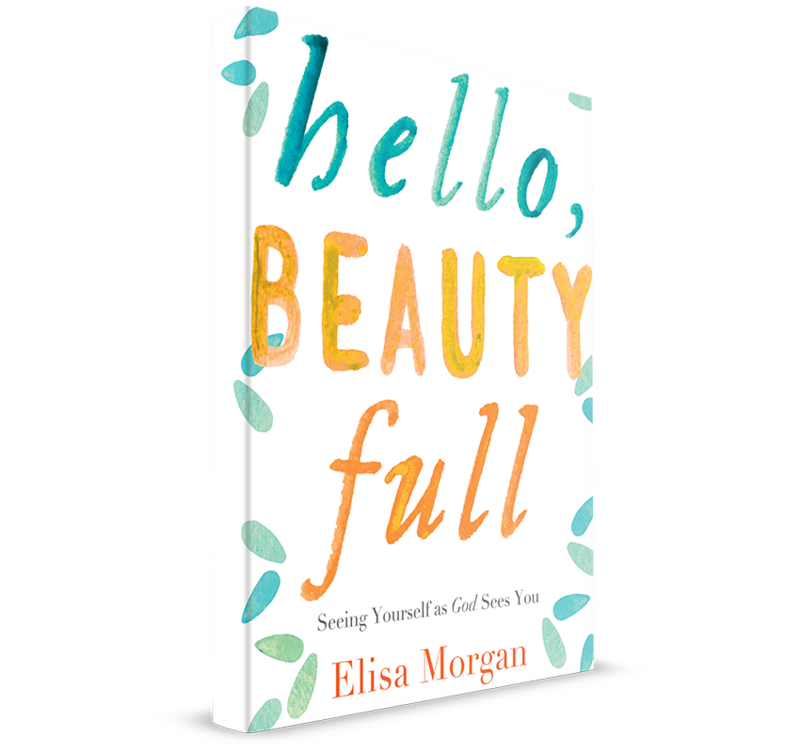 This message is near and dear to the heart of today’s podcast guest, Elisa Morgan. 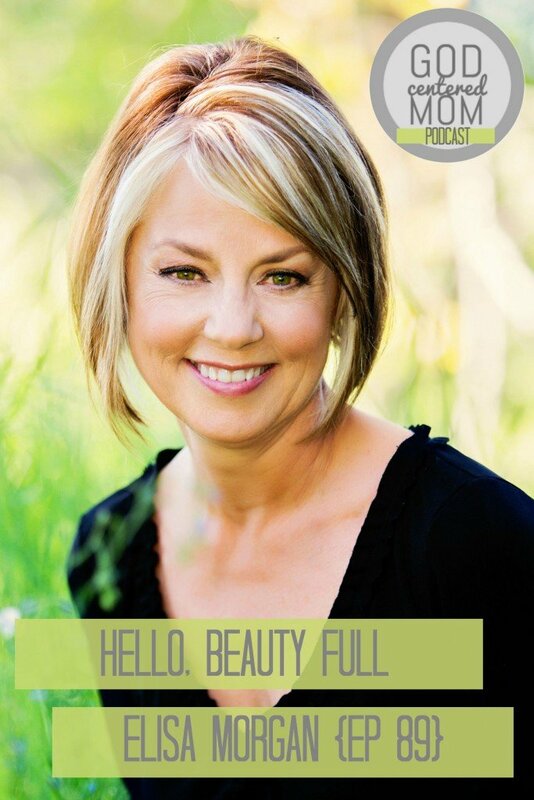 President Emerita for MOPS International & Co-host of Discover the Word radio show, Elisa is also a fabulous author & speaker with a new book available September 29, 2015 titled: “Hello, Beauty Full”. In this episode Elisa and I chat about broken families and acknowledge that no one is perfect. She shares some of her own story, coming from alcoholic parents and having children with addiction issues and teen pregnancy. You will love her vulnerable spirit and warm demeanor. Most of all, Elisa reminds of how God sees us. How treasured and valuable we are in spite of anything we have done or will do. He sees Jesus when he looks at us and we know God is well-pleased with His Son. My hope is if you are struggling in your identity, believing lies of the enemy, or trying to please others instead of resting in your approval from God, that Elisa’s words would lift your chin and encourage your heart. May you and I both fully believe that when God sees us He sees a thing of beauty. The beauty to be found in messy, broken families. The importance of truly knowing how God sees us. How women listen to the lies (“the hiss”) instead of hearing God’s voice of pleasure. When we believe the lies, we can try self-salvation or living like we’re saved. The five elements of beauty which make us unique. My new favorite quote in Elisa’s book by Bernard Clairvaux. Choosing godly sorrow which saves, instead of shame which leads to death. A couple of practical ideas to grasp God’s wooing of you. Dear Heather, Thank you SO much for what you do. I have been subscribed to your email list for a while, but today was the first time I got round to listening to a podcast. What a great one to start with. It really ministered to me (thank you Elisa too). I’m from UK but have lived in Turkey the last 7 years. It can be tough here, with little fellowship. I felt the Holy Spirit breathing new life into me today as I listened to the podcast. I love your heart to share the truth of Jesus with other mums. I will definitely be listening regularly from now on. Joanna!! I’m so glad you made the leap into podcast listening! I’ve loved how it’s allowed more of a connection. . .I get to share the wisdom and knowledge from others and learn from them in the process. And I am able to connect with listeners in a new way. Praying God will provide community for you in Turkey. . .one of my childhood friends lives there (not that y’all would even be in the same town. . .but would be cool if you were! Her name is Julie Wentz, she has 4 kids). oh I’m soooo glad you are going to join a MOPs group!! transformational. So many parenting tips and life-giving perspective came from my time in MOPs. Thanks for listening and for taking the time to let me know you love the podcast! to God be the glory! !